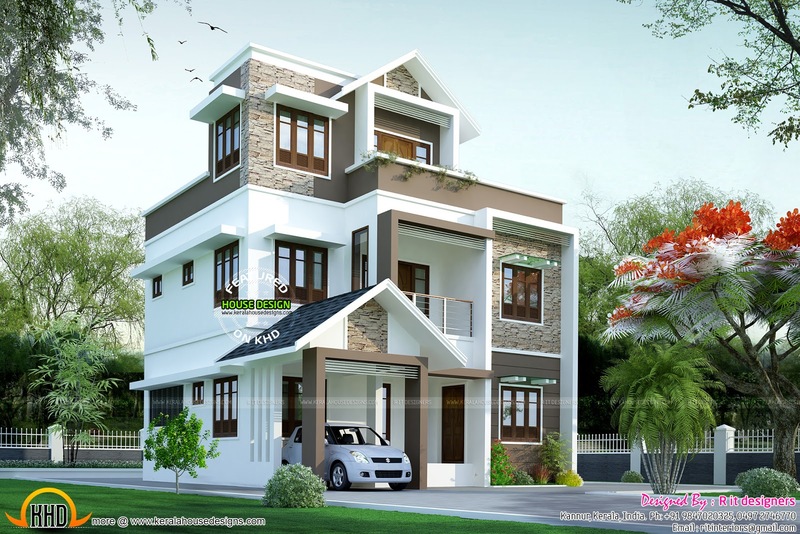 Today we are featuring a small double storied Kerala house in 1595 Square Feet (148 Square Meter) (177 Square Yards). It has 4 bedrooms with 4 attached bathrooms. Designed by R it designers, Kannur, Kerala. Ground floor: 750 Sq. Ft.
Porch : 95 Sq. Ft.
Total area : 1595 Sq. Ft.